Forget what the weather has been like in Prince Edward County recently, the Buds will definitely be blooming in Wellington on Saturday. 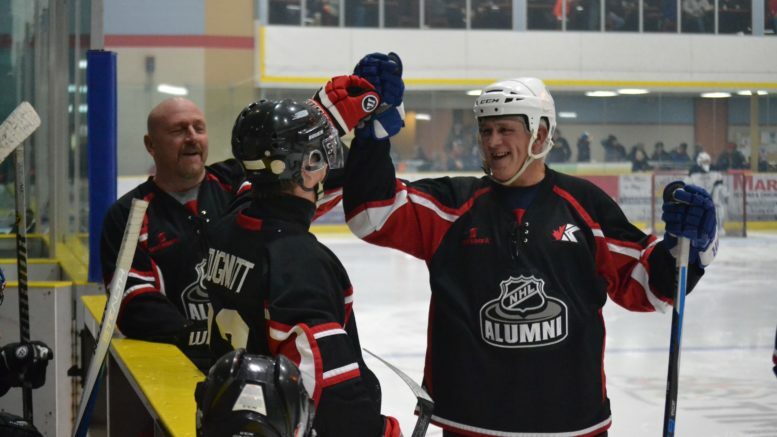 The Toronto Maple Leafs alumni team including past superstars Wendel Clark and Doug Gilmour will be taking on a group of Wellington Dukes alumni at Lehigh Arena at 7 p.m.
Dukes stars of the past including former captain Chris Brown, former Canadian Junior Hockey League Player of the Year finalist Jeremy Franklin and NHL Alumnus Dale Clarke will take on a Leafs squad that include the aforementioned stars as well as for 50-goal man Rick Vaive, “Rocket” Dave Reid, Dan Daoust and Mike Krushelnyski. Wellington Dukes Director of Marketing and Sales, Joey Davies said the entire organization is pumped about this unique event that will allow the team to honour players of the past and bring in a preeminent NHL alumni team with a pair of beloved Maple Leafs to play the Wellington alums. 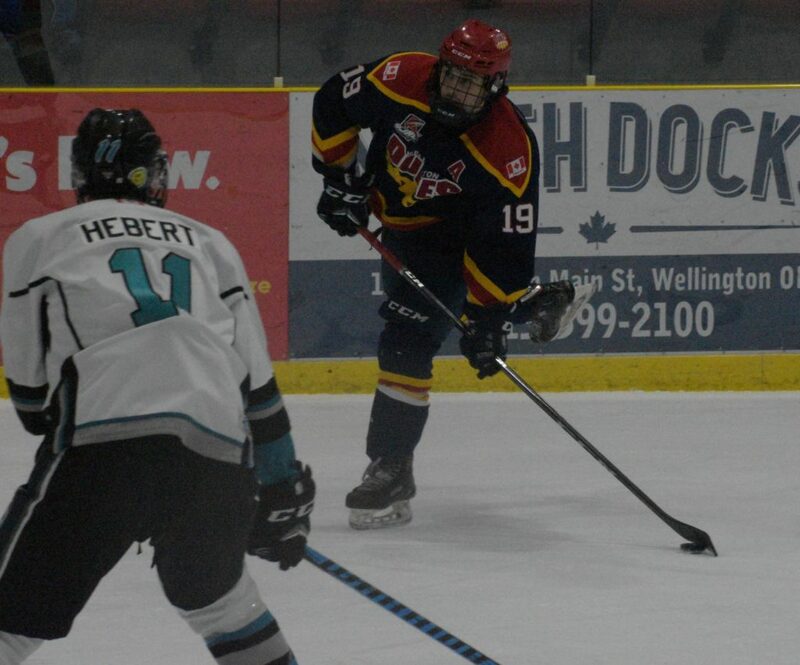 The Leafs roster will feature a couple of plants as current Wellington Duke Tyson Gilmour and former OHLer and one time Aurora Tiger Jake Gilmour will play the wings as their father will serve as pivot on an all-Gilmour line. Looking up and down the Dukes roster, the team certainly won’t be short on bodies as no less than 25 skaters are scheduled to participate and will be barked at at by former Dukes head coach Wayne Marchment and current General Manager Todd Reid. Early standouts including Mike Davies and Rick Van Vlack, both County natives, will be joined by (father of 2017-18 Dukes Captain Colin Doyle) Kevin Doyle and Sean Gawley as representatives of the late 1980’s and early 1990’s teams. 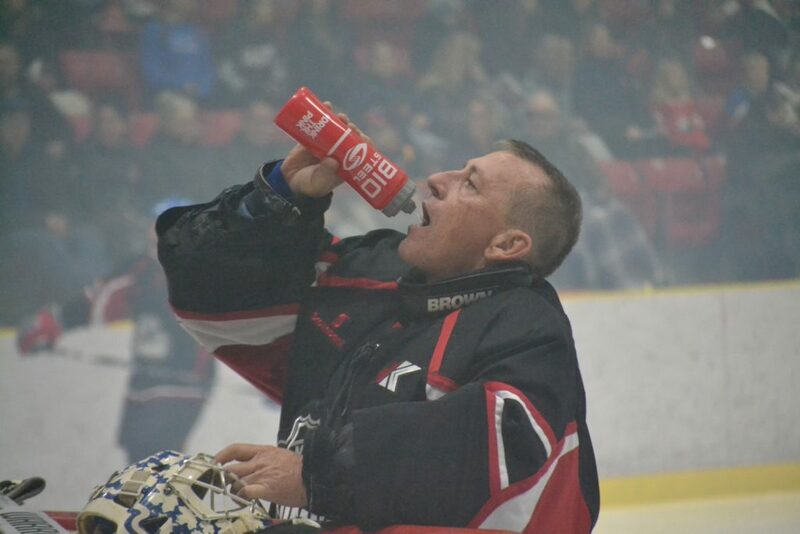 Former pro Mike Senior is joined by Lance Holloway and lone netminder Chad Ford to represent the mid 1990’s squads. Representing Wellington’s first foray into the upper echelons of Canadian Jr. A hockey are 2003 Royal Bank Cup participants Tyler Lyon, Andy Boyce, Tyler Rivers, Mark Runions, Mark Campbell and Jordie Freeland as well as players that starred for the Dukes in the salad years following that first Buckland Cup championship including ex OHLers Ian Maracle, Steve Cooke and Cole Murduff as well as NCAA standout Rob Smith. Overall, a good cross section of former Wellington Duke whose faces haven’t been seen in this ‘burgh in a few years are going to come flooding back to the original Hockeyville for one last swan song. “It’s important to bring in the alumni and let them have a great time in front a big crowd. For some of them, they’ve never had the chance to put on a Dukes sweater and skate at Lehigh Arena. They only knew the corners in the old Dukedome so it’s a good opportunity to allow them reconnect with this community, their billets and the fans again,” Davies added. Of course, a couple of shifts against a few of the speedier Leafs including Daoust and Dave McLwain who can still impress fans with his foot speed despite having last played an NHL game in 1997 and the Dukes alums might be wishing they were back over skating in the frozen bathtub on Niles street. “After the first period, I’m sure some of them will wish they were back on the smaller ice at the old arena,” Davies said with a laugh. Advance tickets are $20 for adults, $15 for seniors/youth and $10 for children (kids under five are free) and are available at the Dukes box office, Rhino Sports and Play and the concession at Lehigh Arena or online at www. Eventbrite.ca. At the door, tickets are $25 for adults, $20 for seniors/youth and $15 for children.